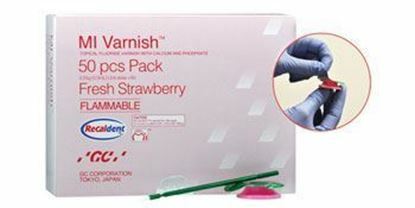 Sodium Fluoride Varnish with TCP - 2.26% Fluoride Ion 50 single-dose units 0.4 mL each. Made in the USA!!! This is the only varnish that is dedicated to deliver amorphous calcium phosphate. In comparison to the transparent varnish ACP delivers 4 times more fluoride into the enamel. 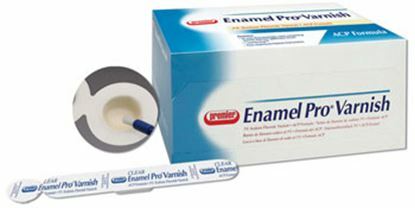 Enamel Pro Varnish is easy to use and offers a nice aesthetic appearance, you just need an applicator brush. 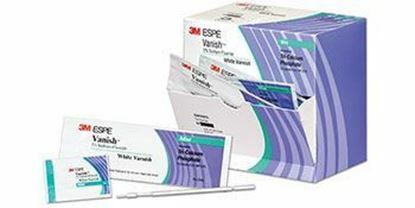 5% sodium fluoride varnish with Recaldent™ (CPP-ACP) binds bio-available calcium and phosphate ions to tooth surfaces and promotes high fluoride release. Smooth application. Dries clear. 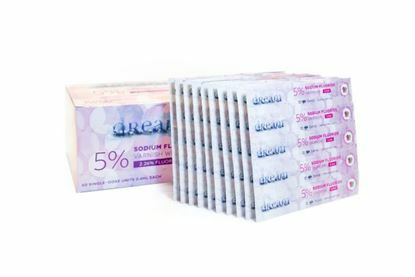 Indicated for the treatment of hypersensitive teeth. 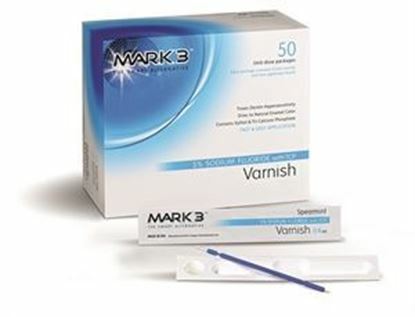 Vanish White Varnish relieves sensitivity, and contains 22,600 ppm fluoride. Covers and occludes open tubules for immediate relief. The innovative TCP (tri-calcium phosphate) component works with Vanish to deliver phosphate and calcium for greater protection. 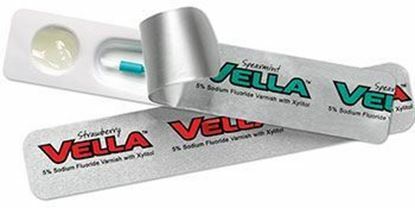 A smooth, 5% NaF varnish with Xylitol that creates a thin-layer application in just seconds. Contains 22,600 ppm fluoride. Enhanced bristle brush allows for a faster, clump-free application, with less mess. Dries to a natural tooth color. 5% sodium fluoride colorless varnish provides optimal fluoride release in just 2 hours, so patients can resume their normal activities sooner. 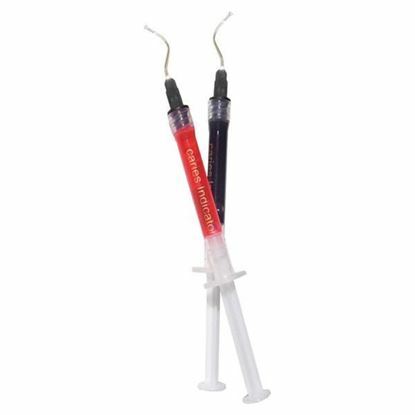 Non-drip formula applies smoothly in a thin application. Can be readily applied in a wet field. 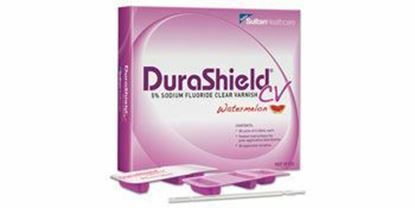 Fluoride ions occlude dentinal tubules to help treat symptoms of hypersensitivity.